On the eve of the centenary of Sir Robert Falcon Scott’s expedition to the Antarctic, the British Antarctic Survey (BAS) 20011/12 field season is underway. The start of the season is marked by the arrival of dozens of scientists and support staff — together with tonnes of equipment and fresh supplies — at BAS’s five Antarctic research stations. More than twenty ‘deep field’ science teams will live under canvas for weeks or months at a time to collect samples or conduct experiments that will give new insight into the Antarctic environment and try to answer big questions about global issues like climate change. One remote and inaccessible field camp is Pine Island Glacier. Around 1,400 km from BAS’s Rothera Research Station on the Antarctic Peninsula, two scientists and their support mountaineers will use radar and seismic techniques to find out how the most rapidly thinning glacier on the West Antarctic Ice Sheet (WAIS) is contributing to global sea level rise. 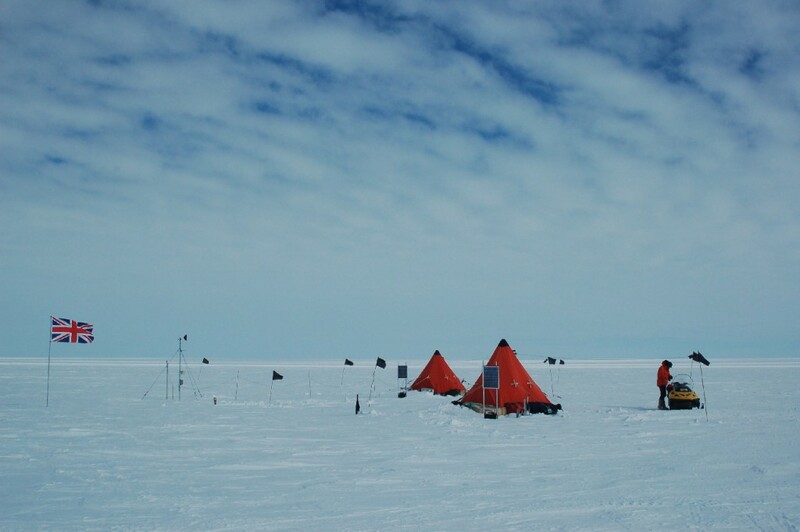 Glaciology field camp on Pine Island Glacier, West Antarctica. In the same area of WAIS, preparations are underway for a large ground-based traverse in 2012/13. Giant tractors and a custom built caboose complete with kitchen, shower and sleeping quarters will travel 450 kms across challenging Antarctic terrain as part of the iSTAR Programme (the Ice Sheet Stability Research Programme). Over 90 tonnes of equipment are heading to this remote and hostile location to prepare for next year. The four-week traverse, which also involves a ship-borne component to take measurements and deploy moorings at the ice edge, will look more closely at how Pine Island and Thwaites Glaciers are thinning, the processes involved and how they are contributing to global sea level rise. At the nearby Larsen and George VI ice shelves, a group of scientists will hot water drill through the ice to deploy oceanographic instruments to sample the ocean underneath. 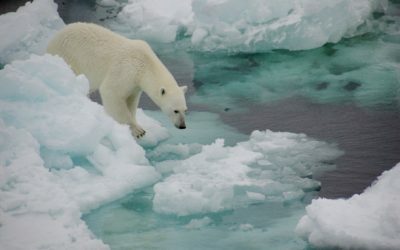 This will enable them to gain a unique insight into how the Southern Ocean interacts with the floating ice shelves, and what the impacts of these interactions are. New measurements will be made to better understand the ice shelf — ocean interaction.  Another of the season’s most exciting deep field projects is the Subglacial Lake Ellsworth Programme. A year in advance of a drilling team planning to penetrate an ancient hidden lake buried 3kms beneath the ice, an engineering team is delivering over 70 tonnes of equipment to the drilling site at the base of the Ellsworth Mountains. This extraordinary mission will look for forms of microbial life in the subglacial lake as well as ‘secrets in the sediment’ at the bottom which could reveal clues about when the West Antarctic Ice Shelf last collapsed. From late November a seven-person team will drill a 600m ice core on Fletcher Promontory. In collaboration with Laboratoire de Glaciologie et Géophysique de l’Environnement (LGGE) in France, the team will collect an ice core spanning the last 25,000 years. By comparing results with previous ice cores the team will investigate how the West Antarctic Ice sheet responded in the last interglacial (warm period) to better understand what may happen in the future. 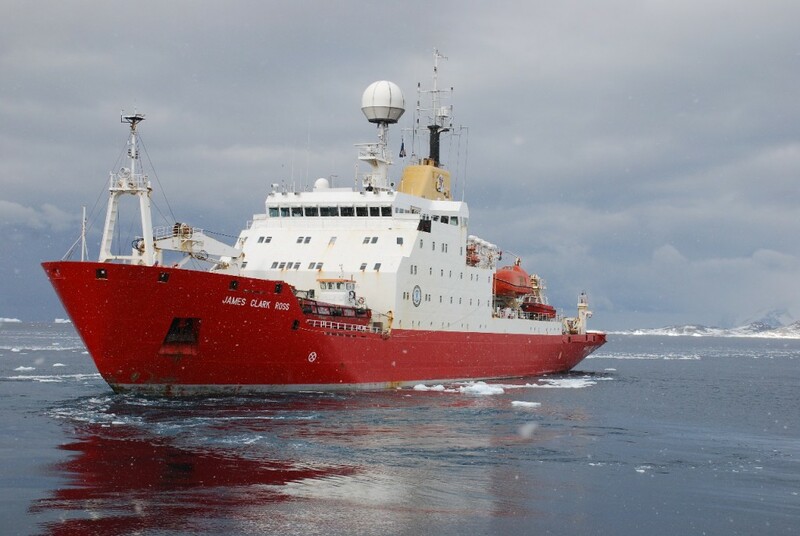 Early in the New Year, another deep field project gets underway when three scientists will be aided with input from the Royal Navy’s new Ice Patrol ship HMS Protector, which will drop scientists off at inaccessible field sites around the Antarctic Peninsula. Once there, the team will collect peat cores from the ground to shed new light on how ice shelves in the region responded to past climate change. RRS James Clark Ross in the waters off the Antarctic Peninsula. For BAS’s two ships, 20011/12 will be one of their most ambitious seasons yet. 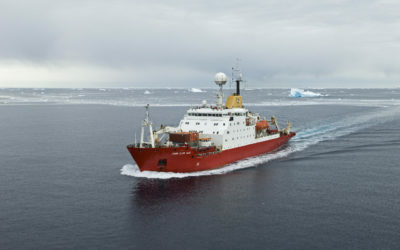 After resupplying BAS’s research stations at Bird Island, King Edward Point, Signy and Rothera after the long Antarctic winter, the RRS James Clark Ross will conduct 11 science cruises, including a joint project with University of East Anglia to deploy ‘gliders’ in the sea. These will travel several hundred kilometres in the surface layers of the ocean collecting data and relaying it back to the ship. James Clark Ross will also be delving into the deep ocean in the south of the Weddell Sea. This cruise will collect specimens to provide a more comprehensive picture of the biodiversity as deep as 2000 metres. 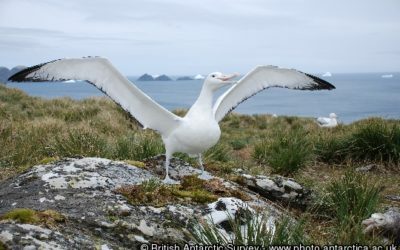 By comparing the genetics of these animals with those collected from other areas, scientists can piece together how shallow seas around the continent were colonised as the ice retreated. Scientists will also sample faunas living in active underwater volcanic craters to discover new species in this unusual polar environment. In addition, the JCR is heading to South Georgia and the Scotia and Weddell Seas, to aid scientists study the changing climate and export of Antarctic Bottom Water – the densest water in the global ocean circulation – and known to be critical for climate and sea level. 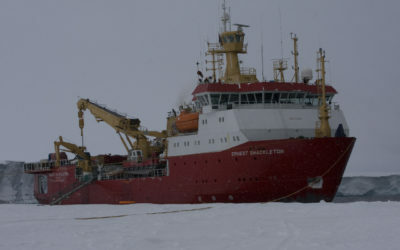 RRS Ernest Shackleton will support the building of Halley VI with several deliveries of building materials and provisions, as well as calling in with cargo for the island stations. Whilst the building of Halley VI carries on, science at Halley V resumes with long-term research into atmospheric sciences. Studies at Halley are crucial for a global perspective on ozone reduction, atmospheric pollution, sea level rise, climate change and space weather. There are collaborations this season with US and Malaysian scientists. Scientists funded by the National Science Foundation and supported by BAS, will work deep field on the Larsen C ice shelf where they will deploy equipment to monitor how this region of the Antarctic Peninsula is changing. Since the collapse of the Larsen A and B ice shelves, much focus is on Larsen C to monitor the processes of its change if indeed it does collapse. In addition, building starts on a new Dutch science facility at Rothera, built in collaboration with the Netherlands Polar Programme which will aid the study of the marine environment as well as meteorology and glaciology on the Antarctic Peninsula. On the 17 January 2011 — also called Pole Day – it is 100 years to the day that Scott reached the geographical South Pole. To celebrate this, and the commemorative ceremony taking place outside South Pole Station which is run by the US Programme, BAS will send one of its Twin Otter aircraft to maintain a piece of science equipment, and participate in a truly memorable moment of Antarctic history.